New Plymouth Argyle signing Jamie Lowry will miss the opening three months of the season after tearing his ankle ligaments. A scan earlier this week revealed the extent of the damage he suffered in a pre-season game at Truro City. 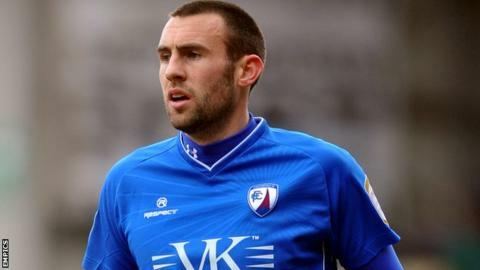 Lowry only signed for Argyle last month after being released by Chesterfield at the end of last season. "He's a good player, a good lad, and I am really disappointed for him," manager Carl Fletcher said. "We are looking at about three months, I think. "It's important we keep him involved and keep his morale high because it can be tough when you see the other lads out there, playing, and you're stuck in the gym with the physio. "He's come to a new club, where he wants to do well, and has made a good impression. It is unfortunate that this has happened," Fletcher added to the club website. With right-back Durrell Berry also out injured Argyle will have to decide whether they bring in another play as cover before the start of the season.